The Guess watches come in all shapes and colors for men and women and are perfect to combine with Guess jewelry. With Guess, the selection of watches and jewelry is vast. Since its establishment in 1981, Guess is synonymous with youth and attractiveness. This philosophy is reflected in the design of these wrist watches which attracts everyones eye. It is possible to choose between classic colors such as silver, gold and rose gold, but also special colors like blue and different tones of brown. The audacity in this original design is especially apparent in models like Rigor or the watch Guess Heavy Metal. The Guess women's watch Heavy Metal with the three chain bracelet and rectangular case has practically become a modern classic. The Guess watches are manufactured with materials such as stainless steel, silicone and leather. The Guess wrist watches have quartz movement (battery). You will also find functions such as date display and a stopwatch. The audacious design of these watches is also reflected in the jewelry collection. Warm colors like gold and rose gold are often embellished with crystals. The Guess jewelry range includes necklaces, earrings in different variations, rings and bracelets. The Guess jewelry is not only for women, but also for men. 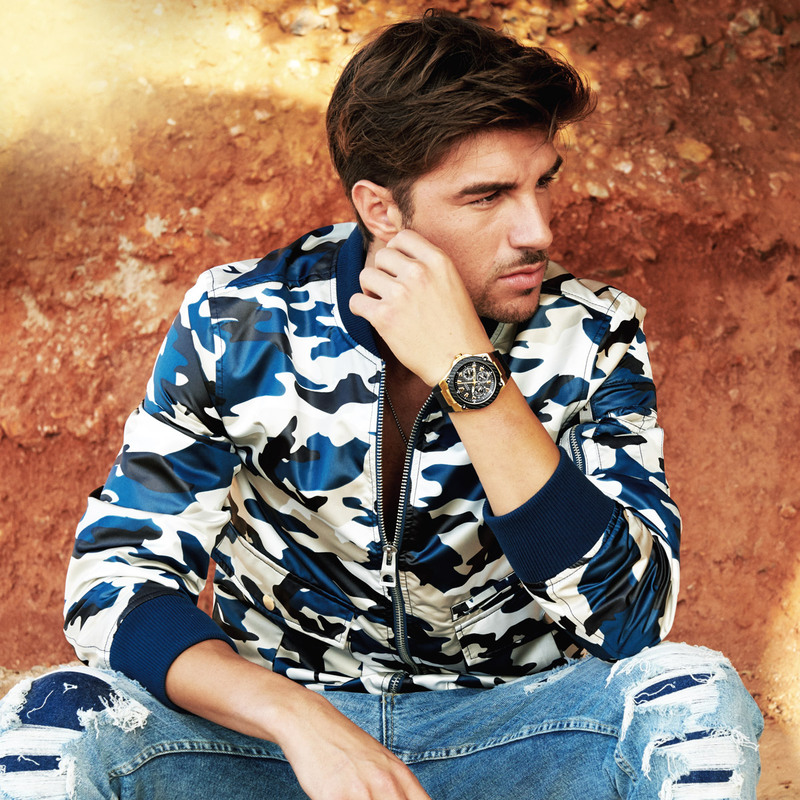 Discover the entire latest collection of Guess watches for men and women in the Helen Kirchhofer online store and let yourself be seduced by the jewelry of the brand. © 2016 Helen Kirchhofer AG · All Rights Reserved. Swiss Online shop for Watches, Jewellery and Accessories.